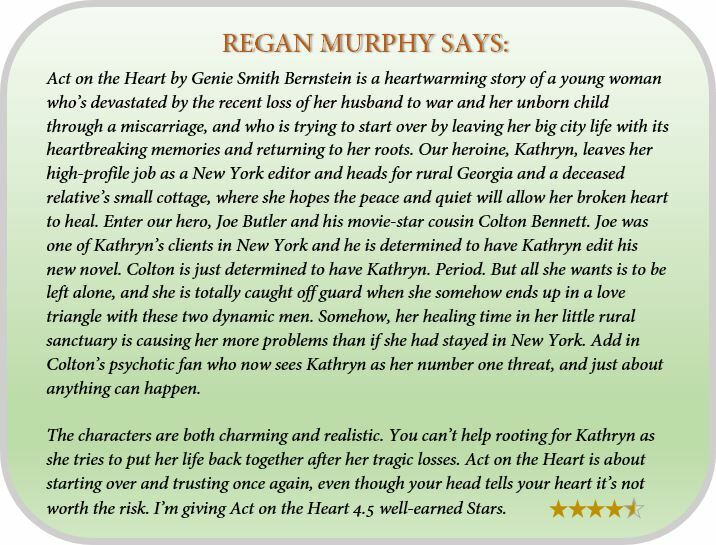 Genie Smith Bernstein began writing by falling out of the sky. After safely landing an airplane whose engine failed, she was unable to talk about the experience until capturing her emotions on paper. That exercise led to her ability to infuse writing with emotion. 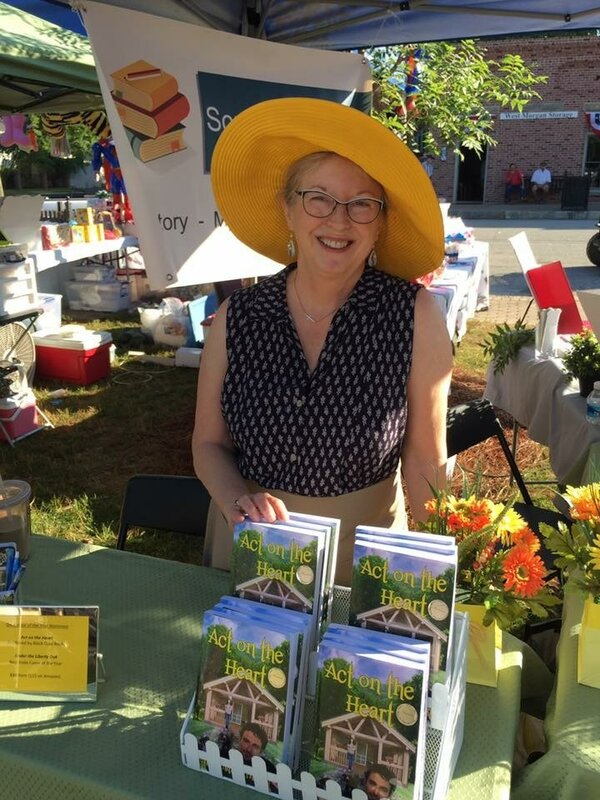 Originally from Eatonton, Georgia, Genie writes in an authentic southern voice. She makes her home in Athens and shares with her husband their joyously combined family of six children and fourteen globe-trotting grandchildren. 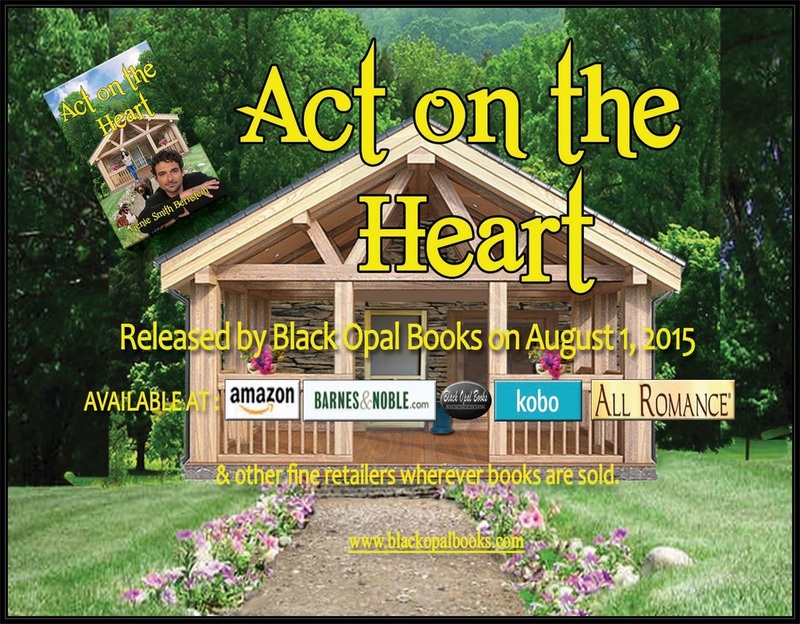 Genie’s novel of Romantic Intrigue, Act on the Heart, is now available, plus a compilation of her personal essays, Skating on the Septic Tank, will soon be released. Both are published by Black Opal Books.